Callender Howorth is a full-service interior design firm specialising in multi-discipline luxury design. In addition to residential and commercial properties, we design custom built yacht interiors to the highest standards. Our team of yacht interior designers create elegant and unique living spaces on luxury vessels from the smallest to the largest superyachts. Specialising in renovations, redesigns and fresh new concepts, we can take your vision and translate it into the most exceptional yacht interiors. The 65.5-metre Amels yacht M/Y IMAGINE has a beautiful interior created by Winch Design. She has a centrally located glass elevator, allowing easy and stylish access to all levels. The seven cabins are luxuriously furnished in a warm subtle palette of browns, beiges and orange accents. Breaking from traditional yacht interior design, the dining room is the first room accessed from the aft deck and it is surrounded by glass doors. A custom table in carved wengé stands as an enthralling but functional centrepiece between the exterior and interior spaces. The salon is furnished with plush upholstered sofas and and complemented with an antique silk Persian rug atop its sophisticated parquet floor. A Bechstein Grand Piano and a backlit alabaster bas-relief also adorn the spacious interior. When it comes to sailing yachts, the highly customised interior of Perini Navi’s PANTHALASSA is a stunning example of contemporary decor blended with the finest nautical heritage. The 56m charter yacht features modern decor, including a central oval staircase, floating bar and a large shaded table on the deck for al fresco dining. However. she will impress business guests with her dining room that converts into a boardroom. With an interior by Foster & Partners of London’s ‘Gherkin’ fame, it’s clear that PANTHALASSA’s yacht interior design was always destined to be special. Her neutral colour scheme let’s her sumptuous high-quality furnishings shine in the light-infused space decorated with cushions, cashmere throws, ergonomic chairs and handmade silk floor rugs. Callender Howorth follows these fantastic designers’ work on yacht interiors, and they inform and inspire our own creations. Where can you see the best yacht interior designs? If you are looking for inspiration for your yacht’s interior design, head to one of the big international yacht exhibitions such as the Monaco Yacht Show (MYS) or Fort Lauderdale Boat Show in Florida. The annual 4-day MYS takes place at the end of the Mediterranean’s summer season in September and is the highlight of Europe’s yachting calendar. 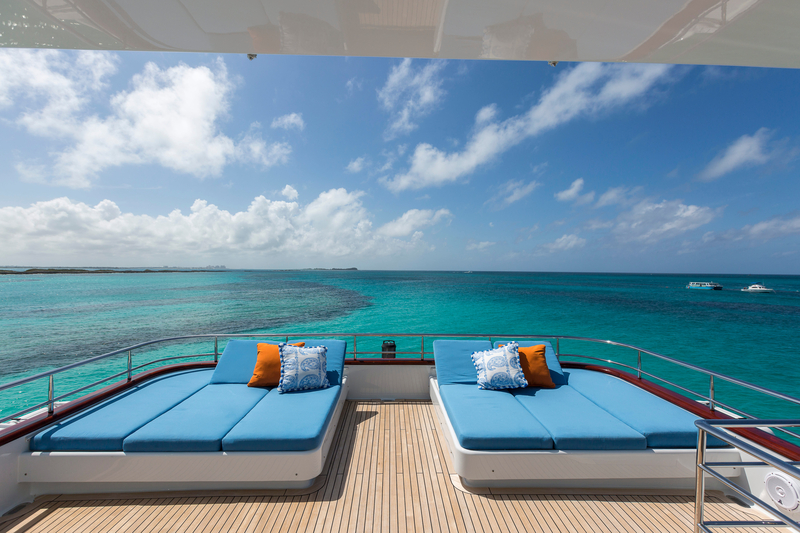 Not only do brokers, owners and yachties gather to view the world’s most luxurious yachts and network, but so do businesses connected to yachting, such as interior design firms. The MYS covers an incredible 9,000 square metres of exhibition space with around 130 participating yachts that range between 20 and 100 metres long. That’s a lot of space that needs yacht interior design expertise! How can Callender Howorth help with your yacht interior design? The team at Callender Howorth are experts in Monaco interior design. We follow the latest trends, but never at the expense of good classical designs that work on yachts. We always follow our clients’ brief and source the finest materials, furniture and accessories from every corner of the globe. We value sustainability and innovation with a view to guiding our clients on best practices with help from our team of talented subcontractors and consultants. Above all, we listen to our clients’ requests, advise them of the best bespoke solutions and update them throughout the design process. For an idea of what we can do to improve your yacht’s interior design in Monaco, we invite you to take a look at our portfolio of completed residential projects. Contact Callender Howorth today to discuss how we can custom design the yacht interior of your dreams.